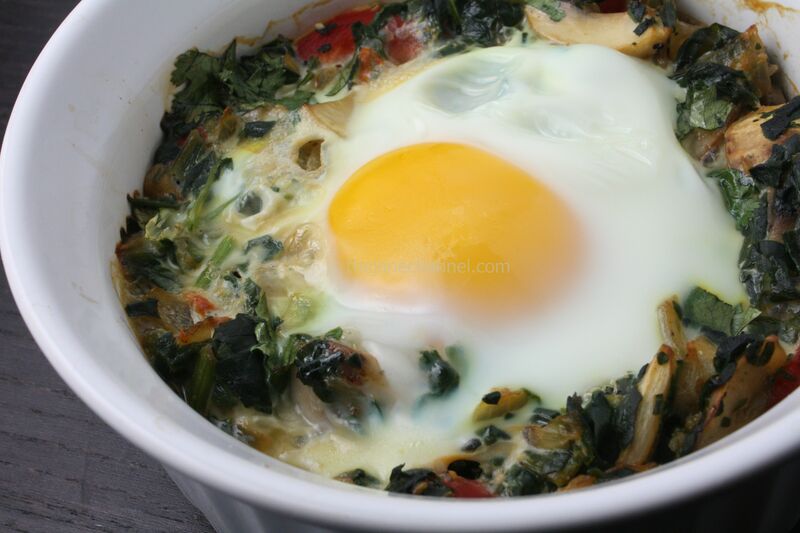 After last weekend’s baked egg muffin cup, we wanted to try making more baked eggs in perfect sunny-side-up doneness. This time, we opted for a recipe that uses for a variety of vegetables. The resulting dish is just as tasty as the meat version. Heat oil in a skillet over medium heat. Add garlic and onion and cook for about 3 minutes, until translucent. Add the mushrooms and cook for about 3 minutes, until lightly browned. 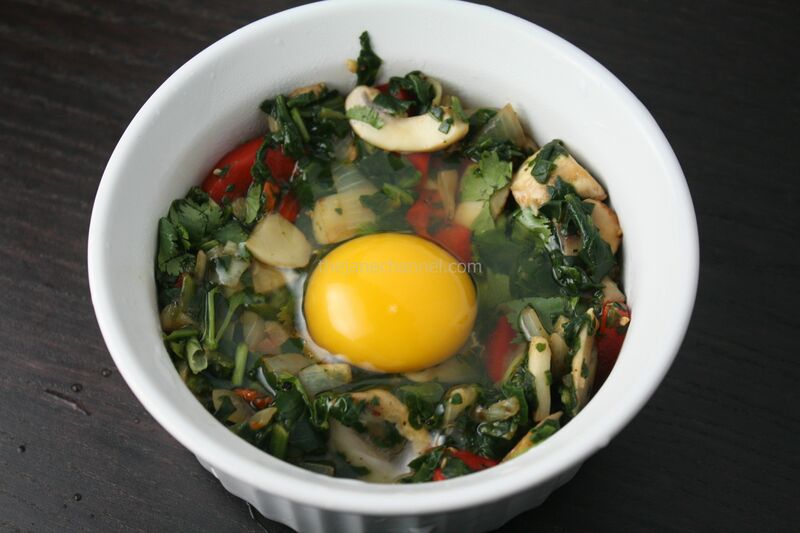 Stir in the roasted red pepper and spinach and cook for 2-3 minutes or until the spinach is heated through. Season with salt and pepper. Pour the mixture in an oven-safe 16 oz round dish. Stir in cilantro. Carefully crack an egg into it, making sure to keep the yolk intact. Bake for about 15-20 minutes at 375 degree.